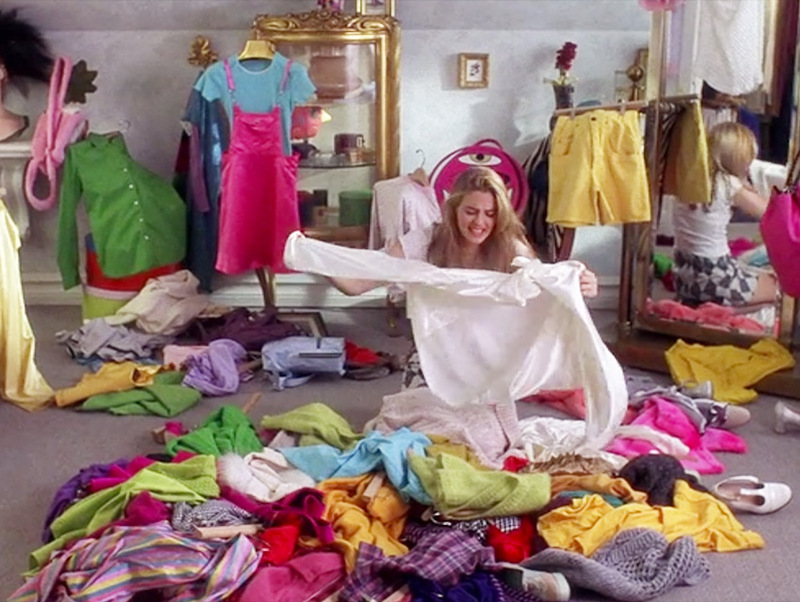 Live like Cher Horowitz at the Jet Rag Sale, only with clothes that are way less expensive. The 10 Commandments of the Jet Rag Sale, the Craziest Clothing Deal in L.A. If you really want to find out what happens when people stop being polite and start getting real, there’s no need to illegally pirate every season of The Real World. Just show up at the Jet Rag Sunday Sale, a vintage shopping free-for-all that’s a real-life version of that one scene in Mean Girls. The idea is simple: Eager shoppers sift through piles of clothing (dumped right onto the pavement), and each piece sells for $1. I’m not saying you’re going to emerge with a black eye (I’m also not not saying that), but getting great clothing at such a low price requires a good amount of skill and planning—so we did it for you. Here are the 10 commandments of $1 sale success. There are no changing rooms in this parking lot. The ideal thrifting outfit allows you to see the fit of whatever you try on but also keeps you clothed. Just because you’re fighting someone for an army jacket doesn’t mean you have to pull a Britney Spears circa 2006. You know how hot and sweaty and mad you get digging through disorganized piles of death and lycra at Forever 21? Imagine that on a Costco-level scale, add hundreds of women who personify that “Don’t Feed the Models” shirt, and then imagine being under the blazing hot California sun. Point being, you need to mentally prepare. Watch The Hunger Games, listen to Lemonade, eat a big breakfast—whatever it takes to get into an aggressive yet positive mentality. May the odds be ever in your favor. That means cash and your own bags. No credit cards allowed, no shopping carts provided. Only the strong survive. …At least at first. The only way to succeed is to move clothing from the central trench to your own pile, and then sort through what you’ve claimed. Put cast offs back into the main pile, but hold onto anything you’re slightly interested in. Once you put something back, it’s anyone’s game. If only to keep your morale up. The Jet Rag sale is the ideal for more unusual wardrobe choices. You can test a variety of aesthetics because the investment is so minimal. Low risk, high reward. It’s easy to get carried away and buy 12 pieces of clothing because, well, that’s only $12. Still, there’s no point in buying stuff you’ll never wear. Step away from the leopard print body suit. Examine your picks for damage and figure out what’s worth fixing on your own dime/time. Mending a few holes is no big, but heavy duty patching often isn’t worth it. At least once, maybe twice. Trust.